A conversation with film maker Dawn Dreyer. Since then, Dreyer has teamed up with other artists to produce a series of animated shorts called "Bipolar Girl Rules The World + Other Stories," in which Dreyer combines her own story with personal narratives from other people who have mental illnesses. 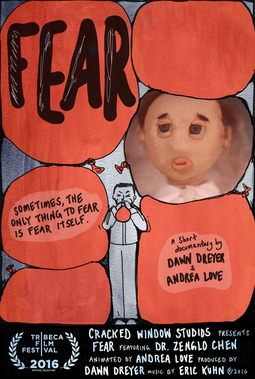 She recently produced an animated short called "Fear" with filmmaker Andrea Love that was selected to screen at this year's Tribeca Film Festival. Host Frank Stasio talks with Dreyer about her series of shorts, and how making films helps her and those around her with healing. About 12 percent of the inmates in North Carolina's prisons are mentally ill, state prisons administrators told lawmakers at a hearing this week. Administrators, including David Guice, the commissioner for the state Division of Adult Correction and Juvenile Justice, said the they're starting a re-structuring of how they handle the roughly 4,600 mentally ill inmates. They're beginning to concentrate transfer some inmates and concentrate some services in some locations - instead of having them spread among the roughly 37,000 inmate population throughout the system's 56 facilities.